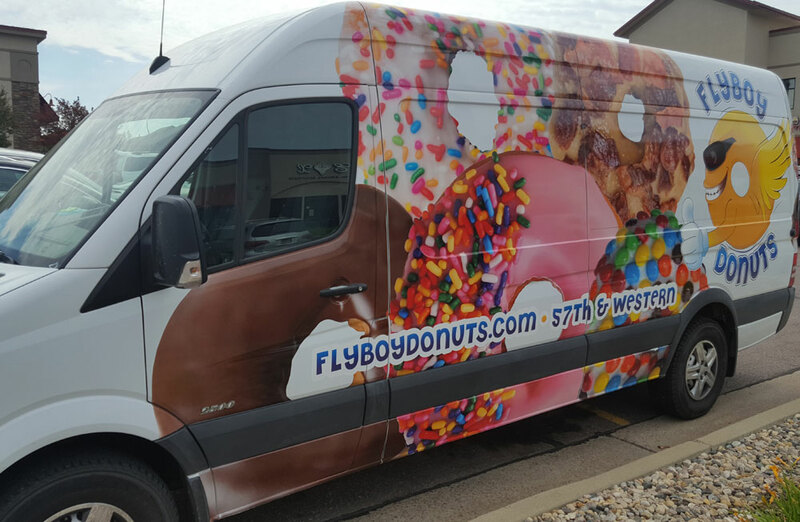 Flyboy Donuts came to us because they needed a vehicle wrap for their truck and trailer that stood out from the rest. This was a project that tasted good to us! With six graphic designers and one large format specialist on staff, our team got to work creating eye-catching graphics that showcased Flyboy’s yummy products, then printing and applying the wraps to the vehicles. stop in to taste them. And our team at the HS Sign Shop delivered. The images are so realistic, that it’s impossible not to get donut cravings when you see the Flyboy Donuts truck driving by. Great for Flyboy, not so great for your sweet tooth.